The very fabulous Oona, from Mama's Haven has recently embarked on a Healthy Living Challenge, having felt the pinch of winter adding some unwanted pounds to her waistline. She is undertaking the 40 Day Healthy Eating Challenge in conjunction with others participating in 40 days of Lent, and her posts are a daily summary of how she is getting on; what she has learnt about health and nutrition; sharing advice she has received and wonderful recipe ideas. I have found Oona's posts really inspiring and with a shock myself when I stepped on my own set of scales, I have decided to join her in a Healthy Eating Lifestyle change. As many of you know I was doing well with exercise last year, but I never really changed my eating habits. It is not so much that I eat badly in relation to what I consume, but more the quantities of what it - ie. too much. The winter months have not seen me out pounding the pavements (I hold my hands up here and admit, I am a fair weather runner for the most part) as much as I should, so of course, without a change in my diet / food intake the pounds have crept back on and my clothes are feeling a tad on the restrictive side all of a sudden. I started my Challenge on Friday. I have to say I did think I would do it for a day or two and slip, but I haven't. I make sure I meal plan each morning, so I do not get to dinner time, and hungry, stick the quickest thing in the oven. When I went shopping I used common sense approach and bought all the healthier options of items (wholegrain, low fat, skimmed milk etc) thus taking the advice of Oona and removing temptation from my cupboards (luckily I am not a chocolate eater so the kids cupboard is safe). To help me get an understanding of my calorie intake I am doing daily lists of exactly what I am eating and the portion size so that eventually it will come naturally to only cook / plate up the recommended portions sizes. Point in case : I made a Spaghetti Bolognaise this week (extra lean mince dry fried with all excess fat drained after cooking and a low fat version of sauce - the rest of the family did not even notice). I was horrified to realise, previously I had been plating up at least three times the recommended portion of pasta (so in plain pasta alone I was looking at 600 calories). I also discovered I was adding about 100g of cheese sprinkled on top (another 300+ calories). I was eating over 900 calories before I even put the mince and sauce into the equation. I ate my correct size portion with a huge side salad (I had forgotten how much I love salad) and was surprised when I found I was actually satisfied at the end of it. I felt full, but not stuffed and uncomfortable, which i realised I had got used to feeling after every meal. I also thought I would feel hungry between meals, particularly at the start, but I haven't. I suppose because I am eating more whole grains etc, which digest more slowly. I have also tried to consciously eat more slowly because I am renowned for inhaling my food at light speed. I have given myself a one a day treat allowance too. This has been great, because it has meant I have not felt like I am being hard done by. Some days I haven't even wanted one. But other days, like yesterday for my dad's birthday when I made him a 'chocolate heaven' cake, I feel I can have a slice without feeling like a failure. I am not due for a weigh in until Friday, so I am not sure if I have actually lost anything as yet, but even if I haven't I am still pleased with the initial eating habit changes and with the things I have learnt. Next week I hope to start some exercise into the programme too, now I have had my gym induction - it's warmer than running! To find out more about Mama Haven's Healthy Eating Challenge and to be inspired check out her blog www.mamashaven.com. I am also linking up with the wonderful Kate at The Naked Mum for #WobblesWednesday - a great blog hop for all those wanting to share their weight-loss journey and find support with others doing the same. Thanks for linking up and you know you can do it. You of all people as you are so fabulous at making a plan and sticking to it. Well done on starting healthy eating. I agree, its a shocker when you actually start weighing out portions and counting calories, but it works and I've lost over a stone by calorie counting. 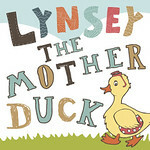 Well done Lynsey! Often just making the decision is the hardest bit, so well done for making such good progress already. With spring just around the corner (please?) this is a great time to make some changes. I'm quite inspired myself. Oh brilliant - well done !!!! I'm trying to do the same - cut down on portion sizes (I eat way too much pasta too) ... I used to have such a good diet - then the baby came along!